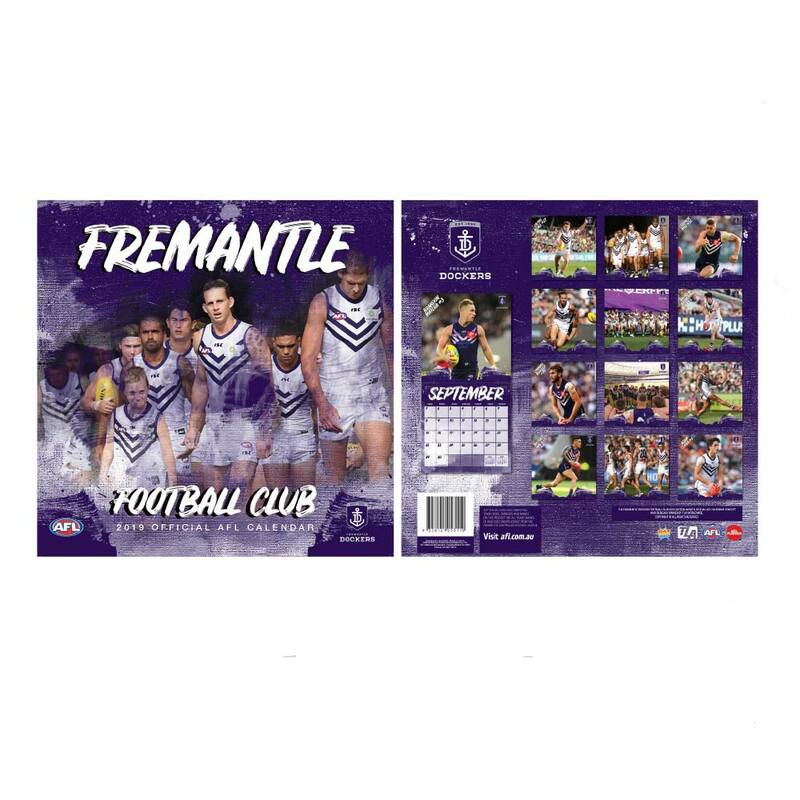 Cheer on the Dockers all year round with this 2019 Fremantle Dockers AFL Calendar. The calendar has team action shots that is perfect for hanging in the office, bedroom or kitchen wall. In reference to the Australian Consumer Law we are not required to provide a refund on an item if you change your mind or choose the wrong size. We are able to provide you with a credit note valid for 12 months for the equal value of the returned item, or you can choose a different item for equal or less value. All returns, refunds and exchanges are required to be in original condition (un-used and un-worn) with all tags attached and accompanied by a proof of purchase receipt.